This handy Wrist Ruler is a silicone wristband with engraved inch and centimeter measurements. It's a one-size-fits-most, weatherproof accessory so that you can measure your WIP anytime, anyplace. 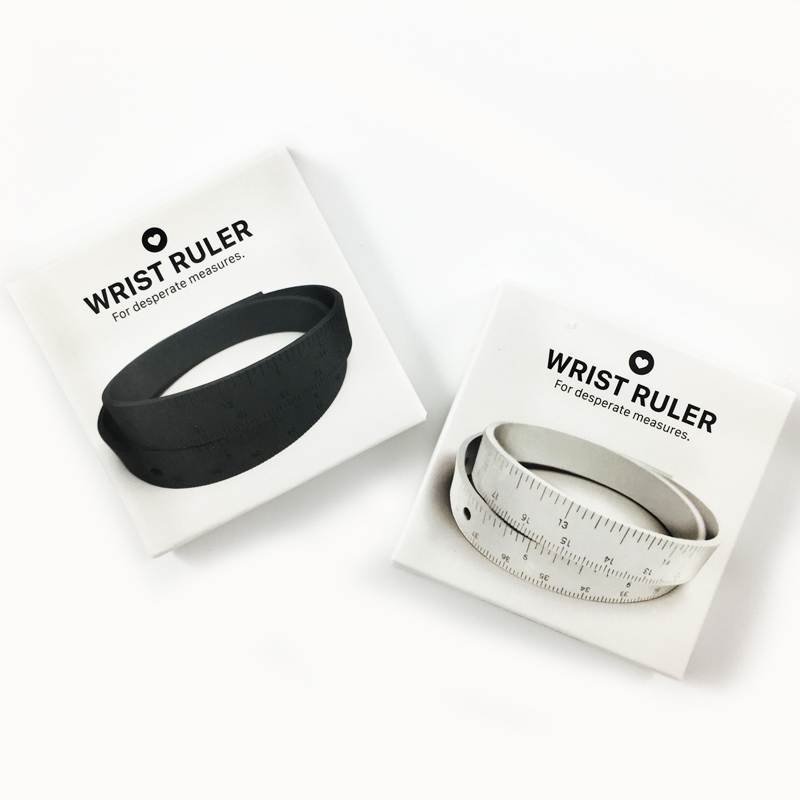 now you can wear your ruler everywhere and never take it off. 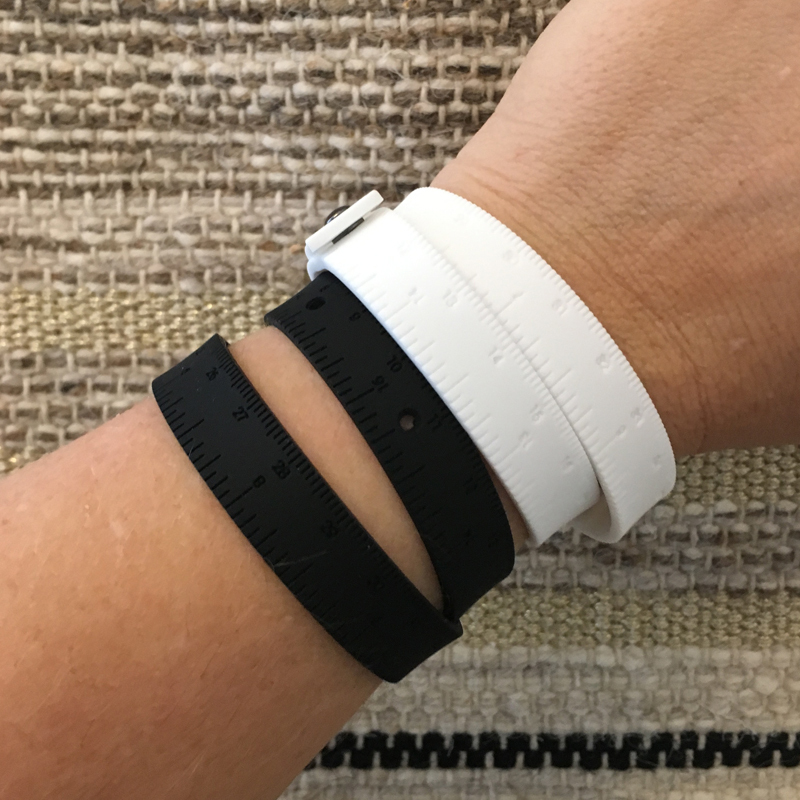 It’s one-size-fits-most, it’s waterproof, and it’s available in black, white, and a classic ruler yellow.